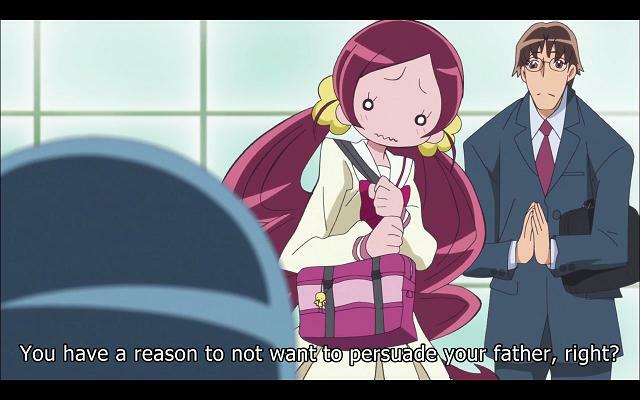 This episode focuses on telling us Tsubomi’s backstory. 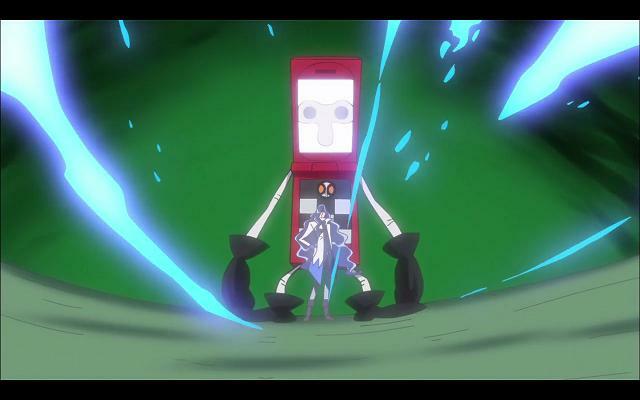 It’s about time, we know Erika’s background, but compared to her, little about Tsubomi. 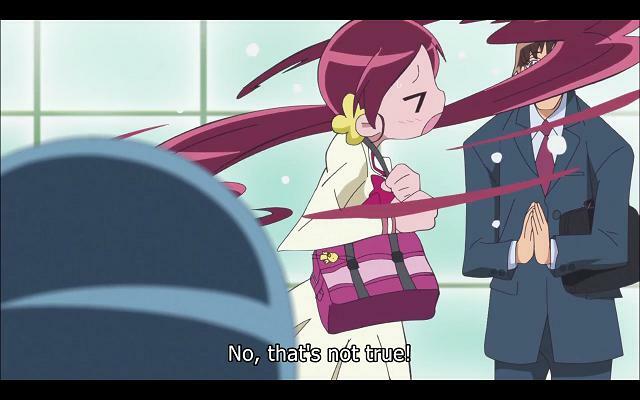 Tsubomi's expressions in this episode were priceless. It’s so nice to have the old opening theme back! Also very cool to know who some of the characters in the opening theme are now. Of course, if you can’t get someone to accept your offer, try to talk his kid into making him accept your offer. Sure. That makes perfect sense. 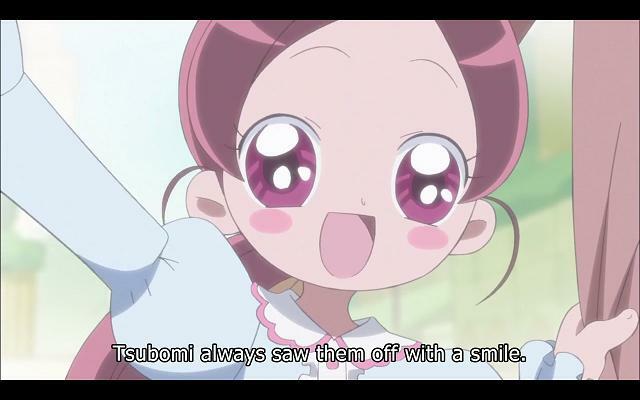 Little Tsubomi is so cute! Cobraja was hilarious in this episode. Watching his underlings convince him to actually get to work…hahaha. Poor guys. I wasn’t sure until now that adults could have their heartflowers stolen, but apparently, they can. It does make sense though. Adults have issues too. Apparently cell phones make quite tough monsters, and it was different for the monster to actually follow orders and be a tough opponent on the girls. I really like that the series is trying to rely on stock footage as little as possible, which is a huge problem in the magical girl genre.